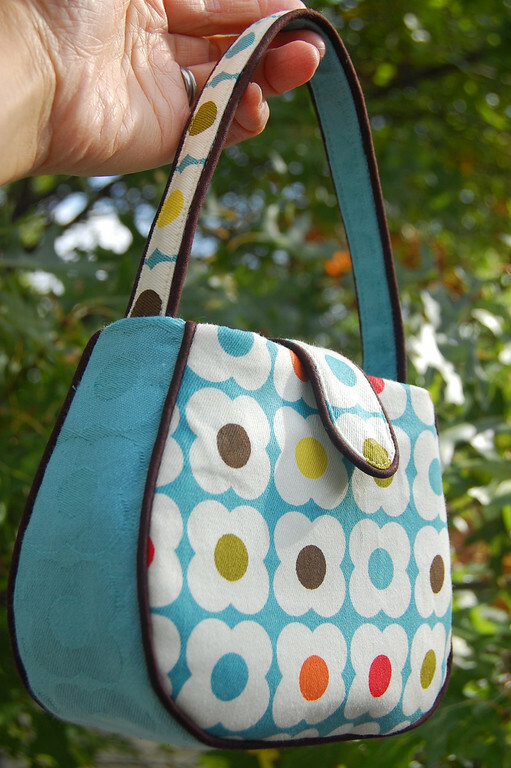 Pattern with full color-photo instructions for making a little handbag. 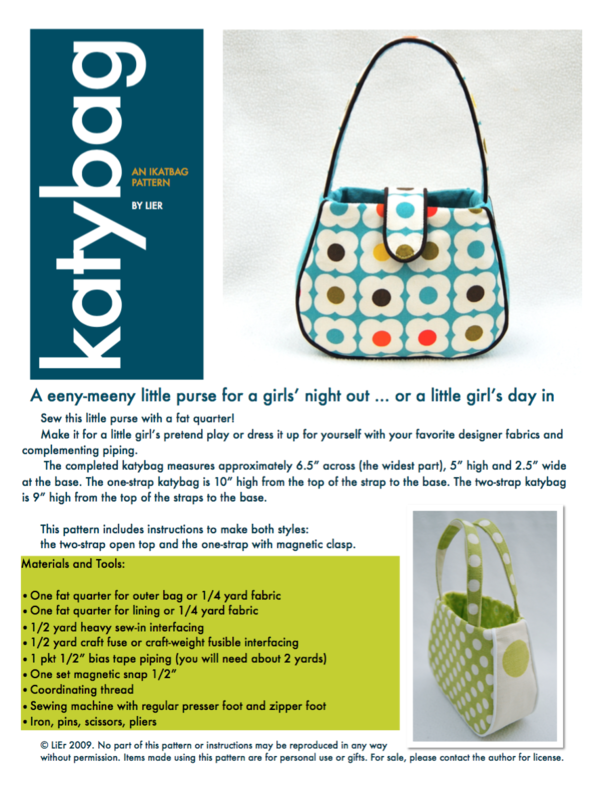 Bag measures (at biggest part) 6.5" wide, 5" high and 2.5" deep. 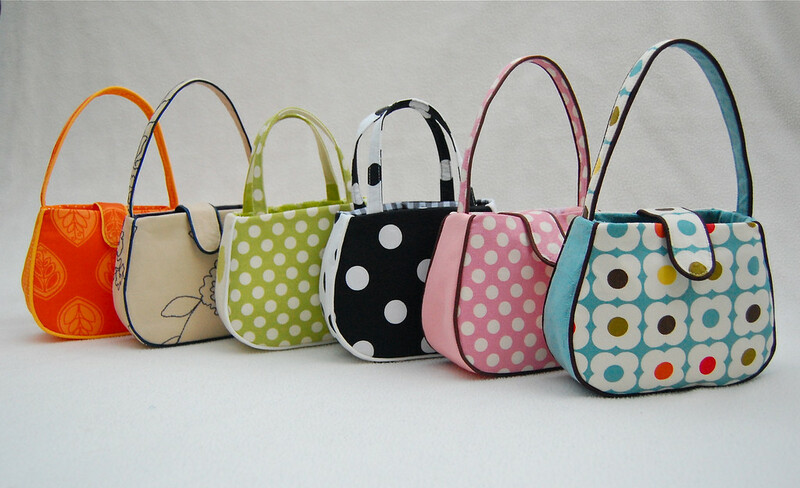 Pattern includes two versions of the bag: single-strap with magnetic snap clasp, and double-strap open-top. Suitable for most skill levels of sewers.